Lucia is an illustrator, graphic designer, and nature lover who first graduated as a graphic designer from the State Institute of Fine Arts of Cali, Colombia in 2000. ​Her eagerness to learn and passion for science, nature and the environment, led her to pursue “a much fulfilling career as a scientific illustrator”. 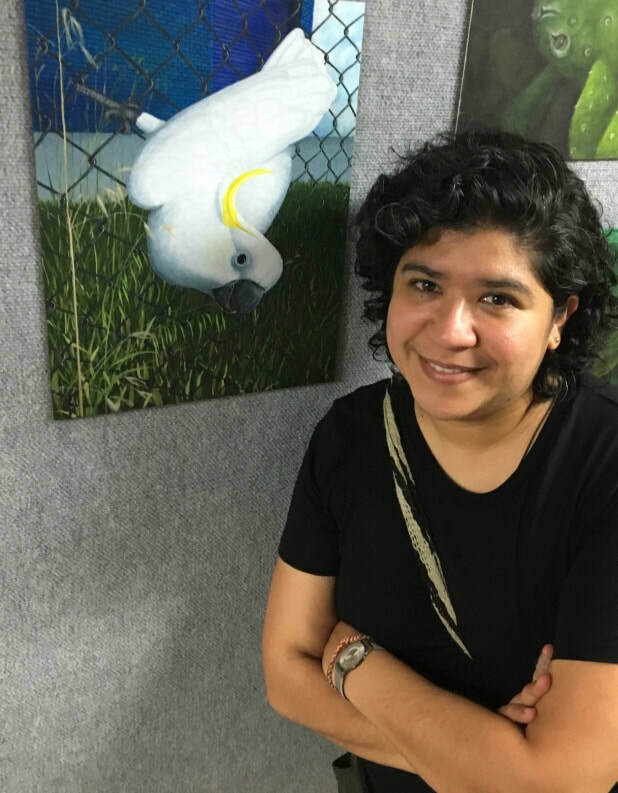 Through her work as an illustrator an designer, she would like people to observe, learn, appreciate, enjoy and care about the natural world and consider its impact on our lives. She believes aesthetic education would make the world a better place and has a huge impact in quality of life. She loves traveling, food and cooking, no recipes, no measurements, whatever is left in the fridge, she'll come up with a great dish. Creative in her own way, analytical, driving, problem solver, “squared”, quiet and pragmatic. She enjoys drawing, illustrating, fixing and building things. Not much of a people person, she choses very well her words. She keeps the accounts and plan head.